Senior first baseman Gabrielle Fredericks (pictured) and junior catcher Walker Barbee recorded the lone Panthers’ RBIs on the day. While Brad Pitt’s acting has been perfect in all 71 movies he’s been in, the Panthers’ weekend had far more mixed results. The swimming and diving and track and field teams had historically good weekends, while tennis, baseball and softball all struggled through their appearances. Pitt’s swimming and diving team concluded its season at the NCAA Championships in Austin, Texas, this past weekend. 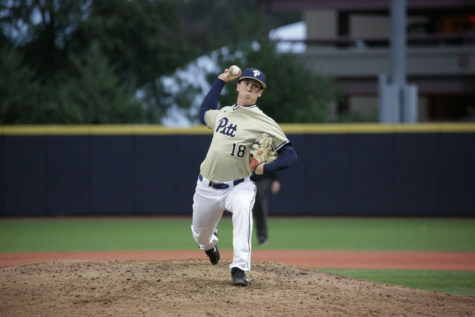 Sophomore Blaise Vera and junior Samy Helmbacher were the lone representatives for Pitt. Vera, in his first appearance in the championship meet, participated in his customary 50- and 100-yard freestyle races, placing 25th and 24th, respectively, with times of 19.35 and 42.41 seconds. He also swam in the 100-yard butterfly, taking 28th place with a 46.09 finish. Helmbacher took 19th place in the 400-yard individual medley with a time of 3:43.51 — the Panthers’ best finish of the day and best at the national meet since 2000. Like Vera, he competed in two other events, finishing 41st in the 200-yard breaststroke with a time of 1:56.32 and 43rd in the 200-yard IM, finishing in 1:44.99. On the women’s side, first-year diver Amy Read was the lone entrant in last weekend’s competition. 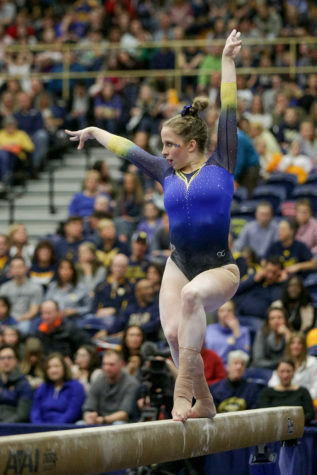 She scored 209.30 points on the platform and placed 36th, while also placing 43rd on the 3-meter springboard with 235.35. The track and field teams continued their outdoor season competing at the Raleigh Relays, enjoying an outstanding weekend that saw four different Panthers earn a gold medal. In what seems customary by now, junior Aysha Muhammad took first place in the 100-meter hurdles, her 13.94-second time good enough for sixth on the school’s all-time leaderboard. First-year Sydni Townsend was the other gold medalist for the women’s team, winning the 400-meter dash with a time of 54.64 seconds, also making it onto the all-time list at ninth place. Alongside Townsend, fellow first-year sprinter Matt Wilson won the 400-meter hurdles, clocking in at 51.67 seconds — the sixth-fastest time in Pitt history. The last gold medalist of the contest was junior 800-meter runner Drew Glick, sneaking into the 10th fastest time in University history at 1:49.74. The Panthers continued to rack up impressive performances. Sophomore Zach Lefever took fifth place all-time in the 3,000-meter steeplechase with a time of 9:03.98, with first-year Evan Addison just behind him at 9:09.62, good enough for ninth all-time. Junior Nick Wolk took second all-time in the 10,000-meter run (29:33.40) in his first time ever running the event, and first-year Eddita Pessima found her way into 10th place on the all-time list as well, with a time of 14.15 seconds in the 100-meter hurdles. 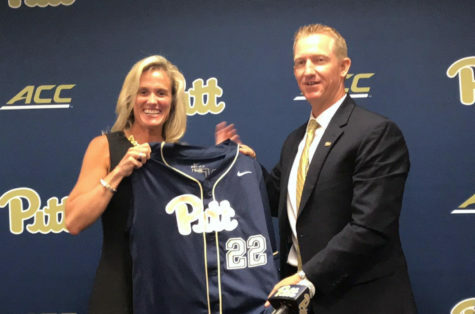 Pitt’s tennis team finished its home schedule for the season (although due to a scheduling quirk, the Panthers still have four road games left) with two difficult losses. 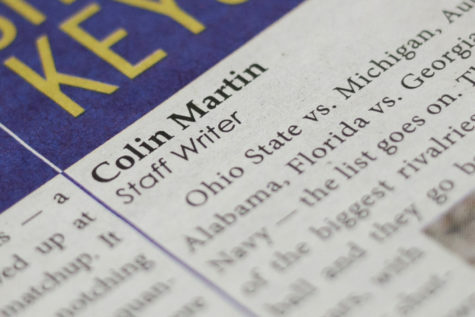 The first came on senior night — a 7-0 loss to No. 10 NC State on Friday, and another sweep at the hands of No. 2 North Carolina on Sunday. Against UNC, sophomore Camila Moreno came closest to breaking the shutout, pushing her match to three sets with scores of 3-6, 6-4 and a tough 6-10 loss in the determining set. The Wolfpack were an easier matchup for the Panthers, with four of the singles matches going to the extra set. The Panthers have now lost nine matches in a row and have been swept in five of those contests. 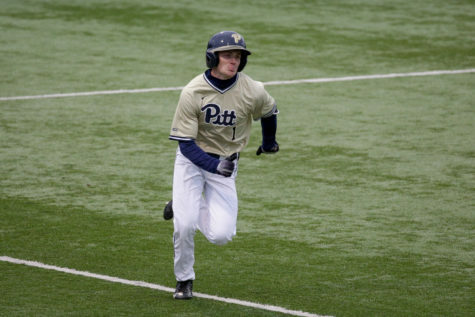 Pitt baseball went 1-2 in its weekend series at home against the Miami Hurricanes. Not much defense was seen in the first game, which the Panthers lost 13-10. 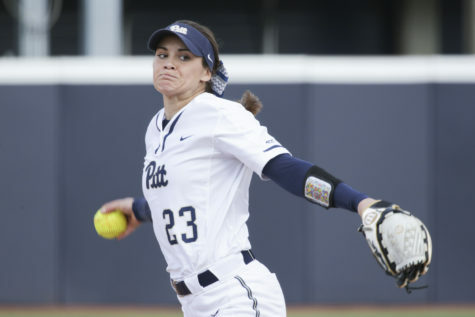 The Panthers scored five runs in the final two innings, but they were not the only ones with late-game fireworks, as the Hurricane’s three-run ninth proved the difference. Senior center fielder Connor Perry was the top performer of the afternoon as he went 3-for-6 with three runs scored and four runs batted in. He also hit two home runs. 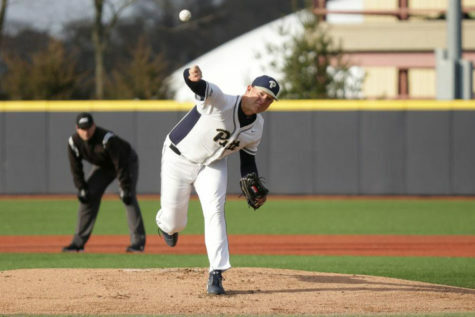 Saturday’s game showcased explosive offense once again, with Pitt gaining the upper hand this time in an 11-10 finish. First-year pitcher Brady Devereux earned the win, although he got a considerable amount of help from sophomore left fielder Ron Washington Jr., the hero of the game with three hits in five plate appearances and six RBIs to boot, as well as another homer from Perry. The bats were quieter on Sunday as Miami earned a 5-3 victory. Designated hitter Sky Duff went 2-for-5 with one RBI, but had a hand in all three runs scored as he reached base on an error in the seventh inning that scored two. The softball team went 1-2 as well, losing 11-5 on Friday against North Carolina in a one-sided affair. Senior shortstop Olivia Gray hit her first home run of the season on the way to a two-hit, two-run performance. Junior Alexee Haynes hit a solo shot over the fence for the Panthers as well — her first of the season. 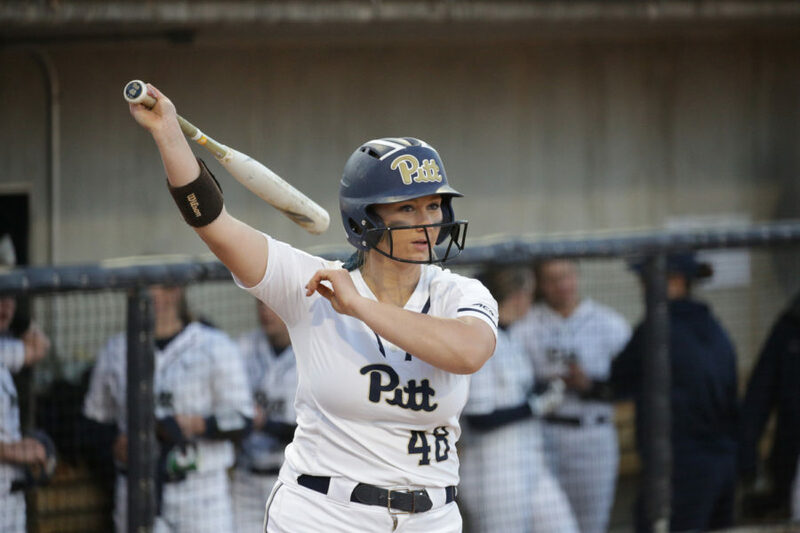 Pitt’s offense was stifled on Saturday, March 30, on the way to another 6-2 loss against N.C. Senior first baseman Gabrielle Fredericks and junior catcher Walker Barbee recorded the lone Panther RBIs on the day. The Panthers finally broke through in their third and final game against the rams later that day, exploding for five home runs on the way to a 14-5 victory. Fredericks hit two, scoring four runs, and Gray, first-year left fielder Katlyn Pavlick and sophomore third baseman Morgan Batesole hit the remaining three.